Parents of toddlers are encouraged to learn about a new program at Dearborn Heights Montessori Center, located at 466 N. John Daly. The Montessori toddler program, which begins in September, is specially designed to meet the developmental needs of children between the ages of 18 months and three years, within a supportive and nurturing environment. A college-educated and Montessori-trained head teacher will lead the program and is supported by highly qualified assistants, with a staff /child ratio of one to four. The classroom is arranged to provide a warm and inviting atmosphere. “We’ve created a classroom setting that helps the children gain mastery over their environment,” added Springer. Snacks, lunch, and nap, if applicable, are part of the daily program. Parents, grandparents and others interested in receiving more details about the new toddler program and other Montessori programs are encouraged to contact the school to set up an appointment for an informational tour. The hours for the toddler program are 8:30 a.m. to 11:15 a.m. and 12:30 p.m. to 3:15 p.m., Monday through Friday. Full and half days are offered, and day care is available for an additional fee before and after class. Building hours are 7 a.m. to 6 p.m. weekdays. 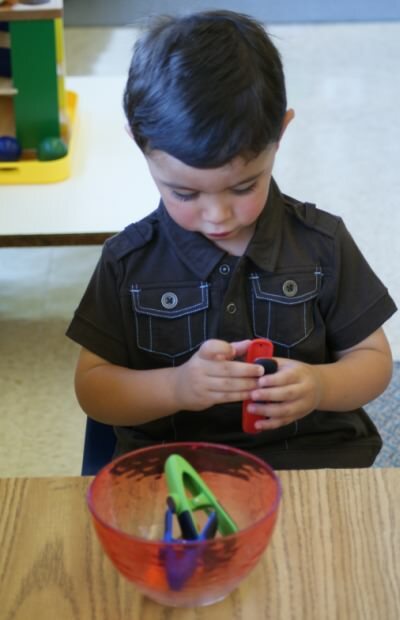 In addition to the toddler, preschool, kindergarten, elementary and middle school program, Dearborn Heights Montessori Center offers a theme-based summer program that includes daily math and language, art, physical education and technology, and lots of arts and crafts, picnics, outdoor time, music, stories, games and field trips. Additional information about the programs can be found at Dearborn Heights Montessori Center, or by calling 313-359-3000. Dearborn Heights Montessori Center (DHMC) is a non-profit educational community founded in 1972. Now in its fourth decade, DHMC is the largest and longest-established Montessori school in western Wayne County. Programs include toddler, preschool, kindergarten, elementary, and middle school as well as summer programs and academic tutoring. Day care and latchkey are also available for enrolled children. DHMC has received accreditation from the National Association for the Education of Young Children (NAEYC) and is affiliated with the American Montessori Society, Michigan Montessori Society, and the Association of Independent Michigan Schools (AIMS). DHMC preschool and latchkey programs, along with its satellites Livonia Montessori Center and Plymouth-Canton Montessori School, are licensed by the Michigan Division of Child Care Licensing. More information is available at www.dhmontessori.org.